1. 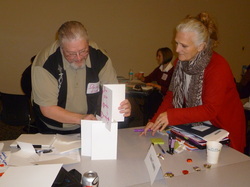 Community Readiness Assessment: Each team worked with PCA Iowa to complete a community readiness assessment using an evidence-based model developed at Colorado State University. The assessment measured the level of awareness and readiness to address ACEs through child abuse prevention in six dimensions: efforts, knowledge of efforts, leadership, climate, knowledge of the issue and resources. 2. Strategic Action Planning: Based on the results of the community readiness assessment, teams met with PCA Iowa to develop an action plan to raise the level of awareness and readiness to address ACEs through prevention in their target communities. Each team has a plan that designates goals, target audiences and measurable objectives to achieve those goals, networks to engage and key messages to use. 3. Implementation: Teams use the plans to implement activities. PCA Iowa provides ongoing guidance and technical support. National research firm Hornby Zeller Associates, Inc. completed an evaluation of the project in summer 2015. View the report. 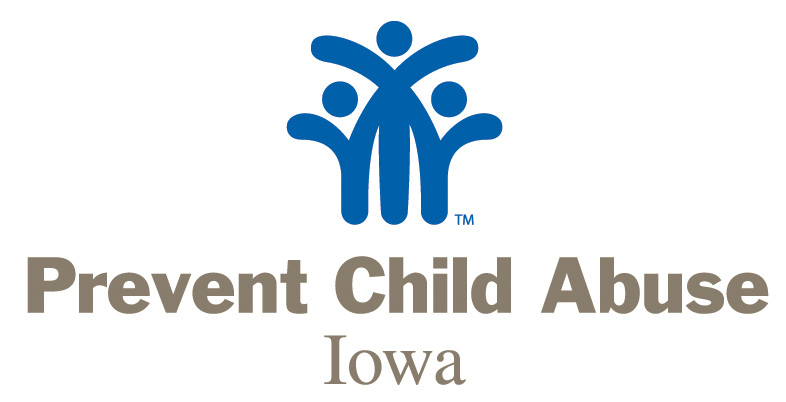 PCA Iowa believes The ACE Study makes a strong case for working to prevent child abuse and neglect before it occurs. The study lends data behind a message the field tries to convey around the importance of early childhood development and the negative impact of toxic stress. With child abuse prevention programs and services already being offered throughout the state, this project works to raise community and leadership awareness that these efforts are important. Research from the Frameworks Institute shows that awareness of child abuse is already high, but that people don’t understand what prevention means. In addition, the CDC’s Essentials for Childhood guide highlights raising awareness as one of four key goals to preventing child abuse in communities. These two pieces of research validate the need for a project like this in Iowa. Meeting the community where it's at is important to raising awareness and commitment to a cause. By knowing a community's level of readiness to address an issue, groups can tailor their messages and actions in a way that meets their audiences' mindset. Being strategic in raising awareness of ACEs and prevention is also important. Just delivering presentations and handing out brochures won't have as great of an impact with the general public as finding creative ways to reach the right kinds of people with the right kinds of messages. ACEs awareness has stayed largely within the social work and other professional fields and we need to look at new ways to engage the broader community with this important information. Strategic awareness planning takes a lot of time and resources up front. The hope is that the time and resources PCA Iowa and its partner sites have invested so far will lead to more effective communications efforts long-term. This work also requires long-term commitment to see real change. PCA Iowa will continue to support the ten communities in the project as well as provide tools and resources for other communities through the Connections Matter initiative. The project is supported by grants from the Mid-Iowa Health Foundation, Principal Financial Group Foundation, Alliant Energy Foundation, and the Iowa Department of Public Health. This has covered staff time to develop the trainings and to assist sites as well as small travel stipends for team members to attend trainings. Each site has dedicated significant staff time and resources to the project as well. Since 1975, Prevent Child Abuse Iowa has served its mission of leading child abuse prevention efforts in Iowa through advocacy, awareness and assistance. It is the only statewide organization dedicated to preventing child abuse and the only consistent voice for child abuse prevention during the state legislative session. Prevent Child Abuse Iowa manages state and federal grant programs, which contribute financial support to community groups that provide services to families. Prevent Child Abuse Iowa is based in Des Moines, but has partnerships in nearly every county throughout Iowa.